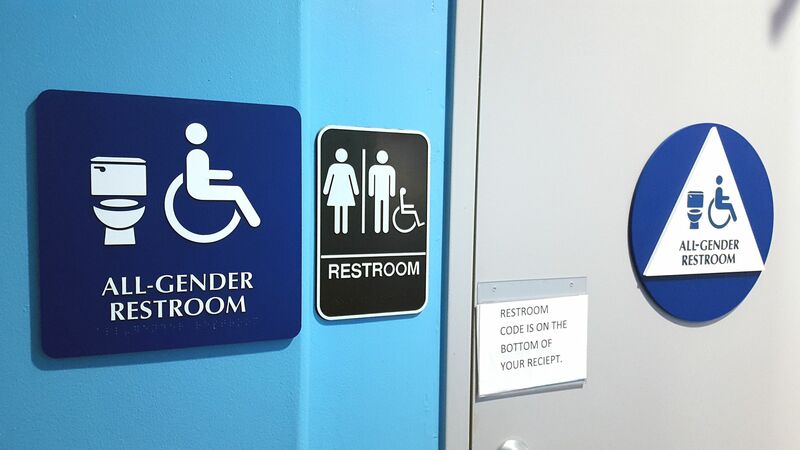 There is no evidence that letting transgender people use public restrooms that align with their gender identity increases safety risks, a study from the Williams Institute at UCLA School of Law finds. Why it matters: The study is the first of its kind, and could help shape future legislation regarding protections for transgender individuals. Key finding: Those who support policies opposing transgender people from using public facilities like restrooms, locker rooms or changing rooms that coincide with their gender identity argue that, without them, others may be more susceptible to predatory attacks. However, the study finds that Massachusetts’ nondiscrimination laws, which include protections for transgender individuals, did not affect the number or frequency of criminal incidents. In fact, “reports of privacy and safety violations in these places are exceedingly rare,” it said. The study took place in Massachusetts, where some cities have transgender-inclusive public accommodation laws. Lead author Amira Hasenbush and her team compared cities and towns that had the laws and in Massachusetts, per NBC News. The bottom line: The study was the first of its kind, and could help shape future legislation in this area.